It doesn’t take long to find an online article explaining how running can improve your mental well-being. There’s one important thing missing from much of these writings: the stories of individuals who are using running and the outdoors to fight their internal hardships. Here we look at the science behind running and share some inspiring stories from those who are living proof that running can be benefical to a person’s state of mind. There is an enormous amount of research behind how outdoors exercise (especially running) can benefit a person’s mental well-being. Runners have long preached the phenomenon of the ‘runners high’ - a feeling of euphoria after a prolonged amount of running. Current research now agrees with the notion that even a moderate amount of exercise can be hugely beneficial for the mind as well as the body. In 2017, the Mental Health Foundation commissioned a survey to be carried out in England, Scotland and Wales. Over 2,200 interviews were conducted. Their aim was to find out the extensiveness of self-reported mental health problems amongst the population. The results are concerning but are what many have predicted already. Atleast 40% of the population have experienced depression in their life. This figure is most likely higher. Over a quarter of the population have experienced panic attacks. The truth is, the collective mental health of western society is astoundingly low. This study suggests the best way to improve mental wellbeing is through contact with family, friends and regular outdoors exercise. A lack of vitamin D3 leads to depression and low mood. Running exposes us to sunshine which ultimately means a healthier level of vitamin D3 in the body. There is also a solid base of research that shows running helps improve sleep patterns and concentration. Research from the University of Arizona studied brain activity in runners compared to non-runners through the use of brain scans. Neuroscientists found that with the help of sustained activity, they observed the damping down of activity in the “default mode network”. This refers to several hyperconnected regions in your brain that will spring into action when a person is idle and inactive. This network in your brain is the place of origin for your inner monologue, a place where your mind reflects on your past and ideals. To put it simply, the human brain tends to wander and this can lead to a pessimistic and defeatist state of mind. Inevitably there’s the association of clinical depression and suicidal thoughts with a negative idle mind. There are many biological benefits to running that inevitably lead to a healthier mind. Firstly, running contributes to the clearance of stress-related chemicals from the bloodstream. Inflammation in the gut and elsewhere in our bodies can be caused by increased levels of stress but it has been shown that running can decrease and regulate hormones associated with this inflammation to reduce anxiety and depression. Running can work in the same way as meditation does, both are mindfulness-based practices. The idea of being fully engaged in the present moment and aware of your body’s state is a key part of both running and mediation. “I lost my mother to pancreatic cancer in September 2016. She was diagnosed in August and died September just 40 days later. This came as a massive shock. I had never ran before this except at school so I wanted a challenge for myself. I signed up for the Plymouth half marathon, I was in a dark place for a while after mums death but I found running helped me get over the hardest days I had something to aim for. I decided I wanted to raise money for a local cancer hospice in Torquay called Rowcorft. 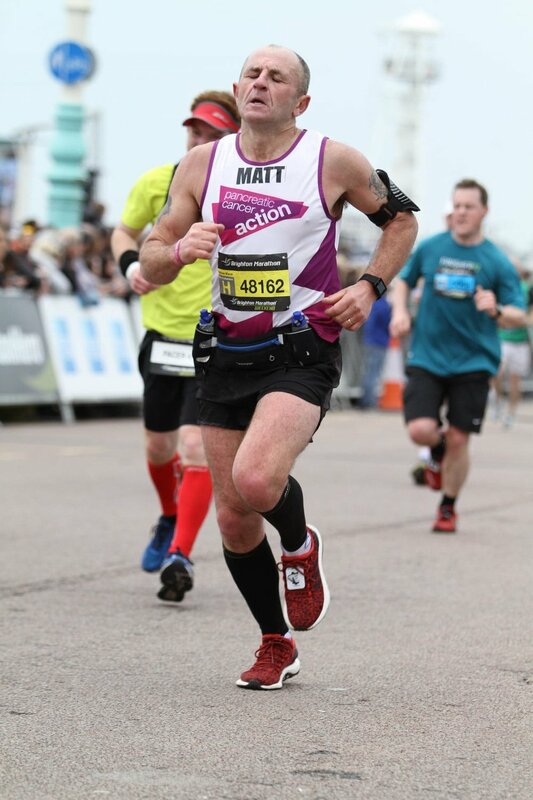 I got the bug after the 1st half so much so I've ran over 20 half marathons and a marathon so far in the last two years, raising around 4.5 k for three charities being Rowcroft, pancreatic cancer UK and Pancreatic cancer action. 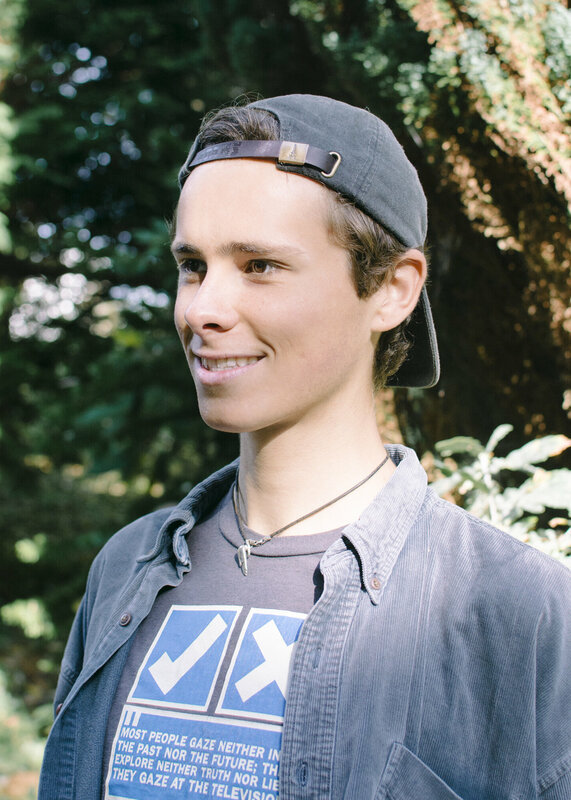 Adrian is a third year Marine and natural history photography student at Falmouth University. He is an avid trail runner having recently completed in the Exmoor Trail Running Challenge 2018. “Running for me is a form of active meditation. It’s a tool that I use to gain more clarity, connect to the natural world and quieten down my mind. Donna is a 37-year-old full time working single mum of 2 children. She describes her life as somewhat chaotic as you can imagine but one she wouldn’t change for anything. 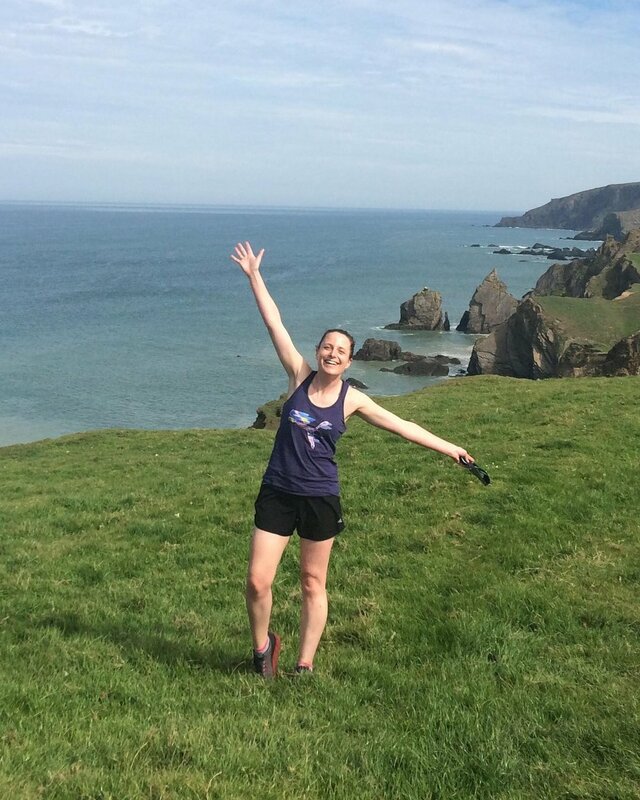 “I began running in February 2013. At first it was hard and certainly didn’t come naturally however the feeling of accomplishment that followed the feeling of impending doom was too much to overlook, I was officially hooked! I went from couch to 5km to training for my first half marathon within the first year. The benefits far outweighed the pain of the actual run itself. Of course, my fitness was improving, and my body was changing shape however the most beneficial outcome was my mind set. For once after years of battling with anxiety I felt like I had a grip on it and not the other way around. I’ve suffered with anxiety since my teens and have battled with it over the years to different degrees. From the outside world looking in I come across as a bubbly, ‘together’ person, I look happy with not a care in the World. For the most part I am this person, however a smile can hide so many feelings. There have been times I feel like I’m drowning in my own thoughts, consumed by them, I overthink, I’m unable to switch off the little voice inside my head that follows me around continually day and night, it’s relentless, exhausting. My anxiety causes me to suffer with insomnia and panic attacks. It’s a dark, lonely and scary place to be and not one I would wish on anyone. We know that outdoors exercise can benefit the mind tremendously but why aren’t we sharing and promoting this more? Here at Dure, the subject of mental health awareness will surely be covered again. Through presenting these three stories and spreading positive news, I want to promote the idea of improving your mental health through an active lifestyle. That being said, I’m in no way disparaging the professional and medical treatment of mental illness. As someone who is relatively new to running, it hasn’t taken me long to notice the benefits that regular exercise holds. I urge anyone reading this who is trying to cope with bad feelings whether it’s a grievance, depression or even a period of feeling low, to have a go at running every week.